Ok, time to give something back. I'm making available some of my favourite reggae riddims in midi format for all you producers to re-use. Released as part of the digital 7-inch project, you're all invited to contact me with your versions - my favourites will get a release on the netlabel. Note: Anyone who's ever worked with me in a studio will know that music theory isn't exactly my strongest point (both a weakness and a strength, I've always said) so no complaints if the chords are a little off or if you don't agree with my transcription. This was all painstakingly done by ear. Included in each download is a midi file and mp3 preview including tempo details. Many also include the original loop sample. Load into your favourite sequencer. Each instrument channel is mapped to a standard General Midi set - be creative in choosing your own sounds and patches and use new quantise and tempo settings to alter the feel. Each midi file is intended as a starting point for new and original music productions. Contact info@baroquedub.co.uk if you feel your version is worth a listen and deserves exposure (links only, please, don't email any mp3 files!). Corrections and submissions to this collection are also invited but remember I'm not much of a muso anorak. Leave a comment if you find these resources are useful and you want to say thanks. Original sample loops were sourced from the excellent Jamaican Riddim Directory where you'll find many more audio samples and detailed information. A treasure trove for all bassheads and reggae fans. 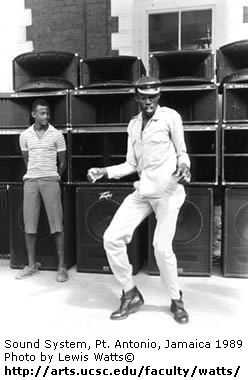 With due thanks to Puppa Vlado for his dedication to the history and dissemination of reggae music. New MIDI files were kindly donated by Jahpapu Kongo. Blessings! And with much respect to the original artists and producers. Your music is an inspiration to the world.